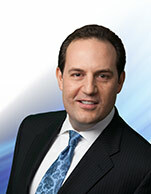 Mr. Peterson serves as Vice President and Chief Financial Officer of our general partner. He joined our general partner as an officer in March 2014. From 2009 until joining Mid-Con Energy Partners, Mr. Peterson served as Managing Director of two New York-based investment boutiques, first with International Strategy & Investment Group, and later with MLV & Co., where he was Head of Energy Research. During this time, Mr. Peterson focused on the energy and commodity markets, including coverage of the Upstream MLP sub-sector. Previously, Mr. Peterson held Energy Research Analyst positions with Morgan Stanley and SunTrust Robinson Humphrey where he covered Integrated Oil, Refining and Exploration & Production equities. Early in his career, Mr. Peterson traded energy commodities for Duke Energy and equity index products at the Chicago Mercantile Exchange. Mr. Peterson holds a Master of Business Administration degree in International Finance from the University of Chicago, a Master of Science degree in Financial Markets & Trading from the Illinois Institute of Technology, and a Bachelor of Arts degree in Political Science and Economics from the University of Denver.